Society for classification of sea, river and lake vessels “Russian Register” was established by the leading insurance societies of Russian Empire in 1913 for technical surveying of the developing fleet. Therefore the name “Russian Register” is historically related to conformity assessment. Russian Register logo of 1913 uses Peter the Great’s cipher in the form of two crossed and inversed Latin letters “R” with an anchor added to it. In the same form cipher with anchor has merged into logo and trademark of Certification Association “Russian Register”. Russian Register has begun its activities on certification and conformity assessment within the frameworks of Russian Maritime Register of Shipping. In order to meet international requirements, set for Certification Bodies, there was created an independent Body - Certification Association “Russian Register”. “Russian Register” has become a member of the International Certification Network IQNet, uniting the leading Certification Bodies from over 30 countries worldwide. Russian Register has been accredited as quality management system Certification Body in VCS “Oboroncertifika”. Russian Register has been accredited as quality management system Certification Body in VCS “Military Register”. Russian Register has become a member of European Foundation for Quality Management (EFQM). “Russian Register” has acquired the first accreditation of the Dutch Accreditation Council RvA, a member of the International Accreditation Forum IAF. Currently Russian Register possesses RvA accreditations against quality ISO 9001, environmental ISO 14001, occupational health and safety OHSAS 18001 and food safety ISO 22000 management standards. Russian Register has become a member of International Personnel Certification Association (ICP). Russian Register has been approved as an official partner of United Nations Industrial Development Organization (UNIDO). Russian Register has acquired the fullest notification in Gazpromcert system, authorized by Gazprom JSC. Russian Register has acquired international accreditation of Forest Stewardship Council FSC and joined the ranks of 20 Certification Bodies with such recognition. Russian Register has become an official representative of American Petroleum Institute (API) in Russia and the CIS countries. Russian Register has concluded an agreement with IRIS Group and became entitled to perform certifications of conformity to the requirements of IRIS international standard. Worldwide there are only 17 Certification Bodies authorized to perform such audits. Russian Register has concluded an agreement with Foundation for Food Safety Certification (FSSC) and became entitled to perform certifications of conformity to the requirements of FSSC 22000 food safety management systems standard. Russian Register has been granted first accreditation from the American Accreditation Board ANAB, a member of the International Accreditation Forum (IAF). Currently Russian Register possesses ANAB accreditations against quality ISO 9001, quality in aviation and space AS 9100, energy ISO 50001, information security ISO/IEC 27001 and IT-services ISO/IEC 20000-1 management system standards. Certification Association “Russian Register” has been accredited as management system Certification Body by the Federal Accreditation Service (Rosakkreditatsiya) – certificate № РОСС RU.0001.21.ГА45. Russian Register has been authorized by the Russian Union of Industrialists and Entrepreneurs in respect of education quality assessment, professional-social accreditation of educational programs and public accreditation of educational organizations. “Russian Register” Academy was founded. “Russian Register” has become a full member of the International Network for Quality Assurance Agencies in Higher Education (INQAAHE) and APQN-Asia Pacific Quality Network, and has received an affiliated status in the European Association for Quality Assurance in Higher Education (ENQA). Certification Association “Russian Register” has been accredited as product Certification Body by the Federal Accreditation Service (Rosakkreditatsiya) – certificate № RА.RU.11АД03. There was signed a Memorandum of understanding between Russian Register and American Society for Testing and Materials (ASTM Intl). Russian Register has become a full member of the International Network for Quality Assurance Agencies in Higher Education (INQAAHE) and APQN-Asia Pacific Quality Network, and has received an affiliated status in the European Association for Quality Assurance in Higher Education (ENQA). Upon the results of an independent external expert assessment Russian Register has been included into the Asia-Pacific Quality Register (APQR) of the Asia-Pacific Quality Network (APQN). 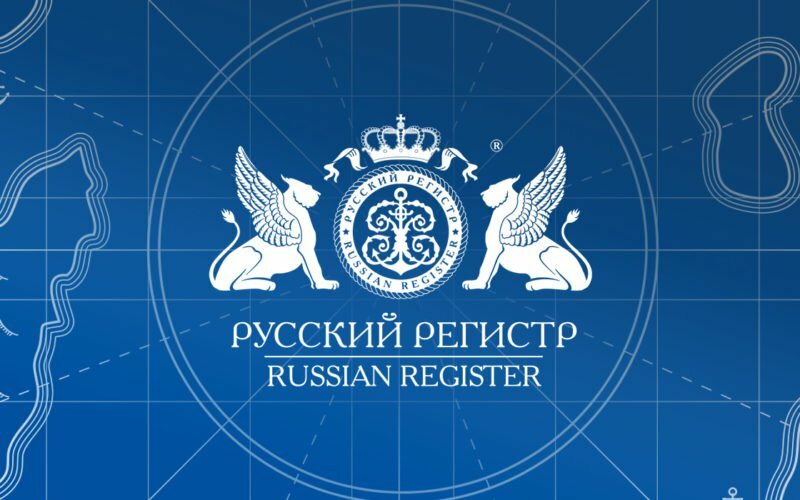 Russian Register has been granted the status of approved Body for product, management system certification and experience and business reputation assessment in VCS INTERGAZCERT, developed by “Gazprom” PJSC. Russian Register has been accredited by “Rosatom” State Atomic Energy Corporation as Certification Body for products with determined mandatory requirements related to ensuring safety in the area of atomic energy use. Aviation technology certification center of Certification Association “Russian Register” has been accredited as technically competent and independent certification center in the Federal Air Transport Agency (Rosaviatsiya). Russian Register has been authorized by “Association of Russian Automakers” NPO to perform certifications of automotive industry organizations’ quality management systems’ conformity to the requirements of ST OAR 3.16950-2017 and GOST R 58139-2018.